Porsche returns to Le Mans for the first time in 16 years. 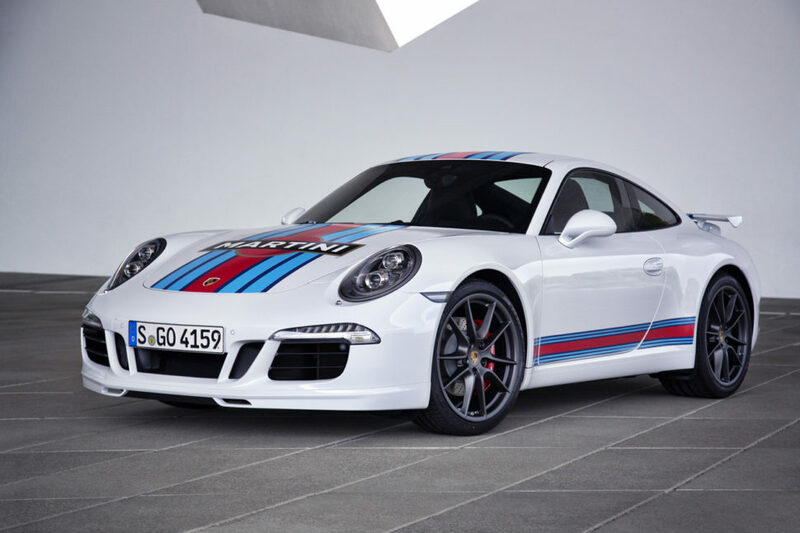 To celebrate they’ve produced the special edition 911 Carrera S Martini Racing Edition. The racing stripes adorn either black or white Carreras. Look under the hood at 400 hp and 0-62 in 4.1 seconds. Check for these limited special editions in August and October.